MYPLACE PLATINUM SPONSOR FOR CINEPLEX HOLIDAY PARTY - MyPlace Building Services Ltd.
MyPlace is proud to announce it will be one of the Platinum sponsors for Cineplex’ Regional Holiday Event. 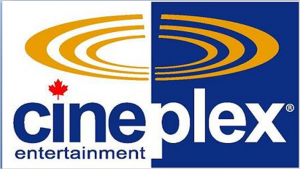 Cineplex Entertainment is one of MyPlace’s key clients for which we have completed numerous projects from Vancouver Island, BC to Regina, SK, and many places in between. MyPlace is proud to count Cineplex among its clients and looks forward to a continuing relationship with all Cineplex staff and theatres. MyPlace Building Services Ltd. is a BC-based firm with clients in the retail, hospitality, hotel and office sectors. Currently we service BC, AB & SK for its corporate clients. MyPlace provides Facilities Maintenance, Servicing, Janitorial, Renovation, Landlord and Tenant improvements.